How Long Will It Take For The ECB To Own All Sovereign Debt Of Spain, Germany, France? 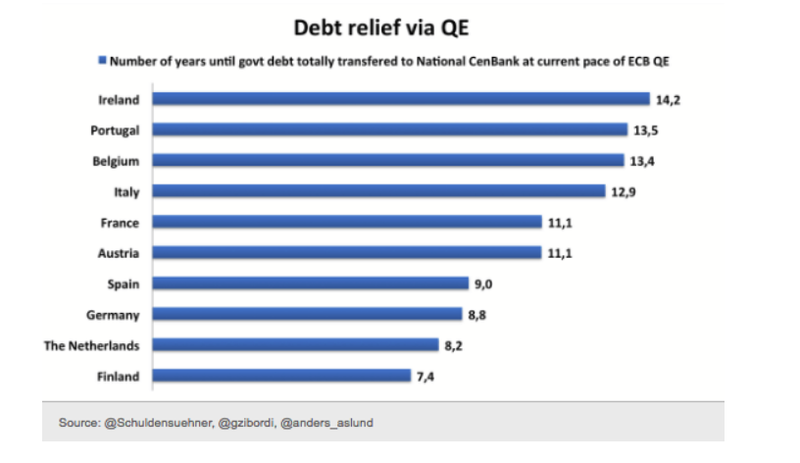 Huky Guru on Guru’s Blog posted a chart that answers the question: How Long Will it Take For the ECB to Own All Sovereign Debt of Eurozone Countries? At the current rate of purchase of sovereign bonds the ECB will have have purchased all sovereign debt issued by Spain in 9 years and Germany in 8.8 years. 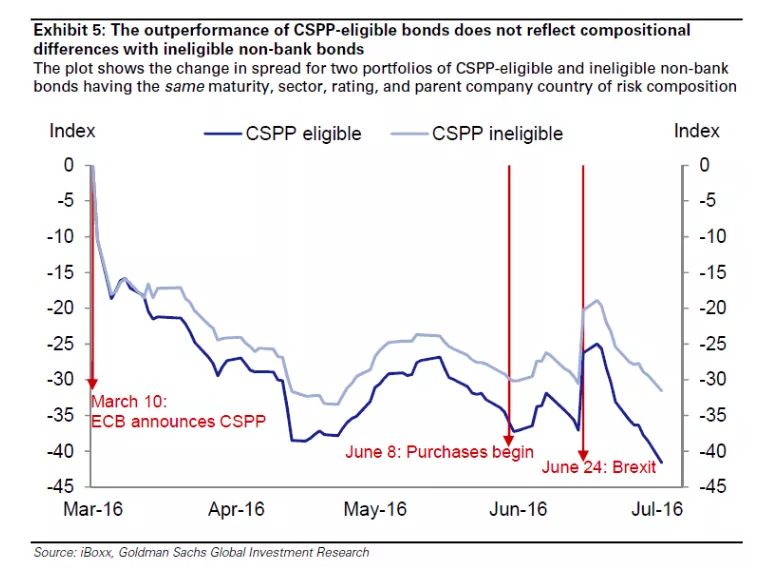 Distortion in the corporate bond market has picked up since the ECB has started buying corporate bonds. The above chart shows a comparison between the yields of bonds eligible to be purchased by the ECB and bonds with the same rating in the same sector that are not eligible for the ECB. Corporate bond yields have collapsed across the board since the ECB’s announcement, but even more so for eligible bonds.